In a cocktail shaker, combine vodka, cranberry juice, and orange juice. Add a generous amount of ice, close the shaker, and shake vigorously for 30 seconds. Strain the liquid from the shaker evenly into 2 martini glasses, leaving room at the top for the champagne. Carefully pour the champagne/sparkling wine to fill to the top of the glass. 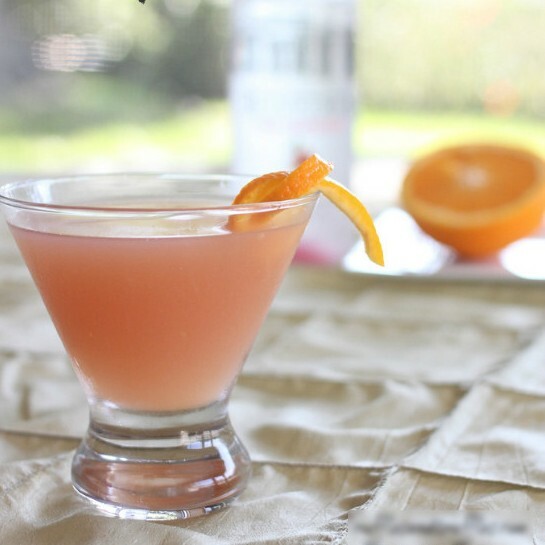 Garnish your martini with an orange twist.